Thank you for taking the time to help us out the Grimsby Minor Hockey Concession Booth. Your 4 hours of time here is very much appreciated. 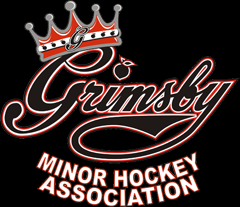 In case you didn’t know, the Concession Booth is GMHA’s major fundraiser, and your time will assist us in making the Concession Booth a success by helping us exceed our customer’s expectations. Hair must be pulled back and/or contained in a bun. Hands must be washed on a regular basis. Must be 14 years or older. Must not be sick or ill. There will be a trained staff member working the booth at all times and any work instruction will be provided by the staff member. Duties could include packaging food items (French fries, onion rings, candy bags, etc), serving customers, cooking deep fried foods, clean up and dish washing. Bantam and Midget players are welcome.